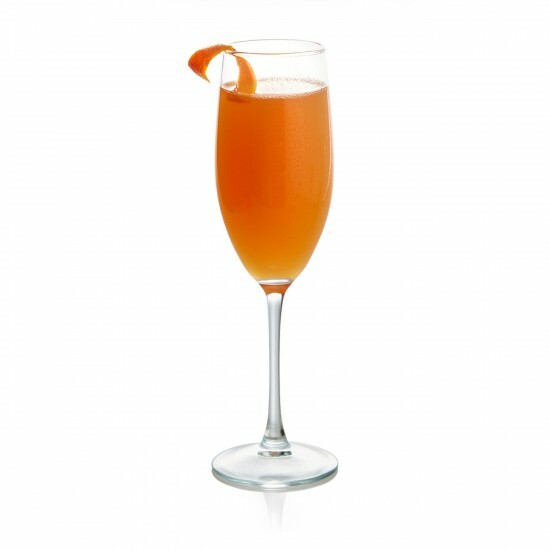 Try this crimson-hued twist on the quintessential mimosa at your next brunch. Slightly more bitter and less acidic than regular oranges, blood oranges pack a rich, complex flavor. Mixed with sweet, delicate fig vodka, this may very well become your go-to mimosa recipe! Serve in a flute glass and garnish with a blood orange slice.